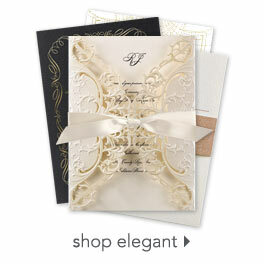 Top off the holiday season with super cute holiday save the dates announcing your wedding. This adorable design features "Soon to be Mr. & Mrs." in the shape of a Christmas tree and topped with a heart. Your wording appears below and your photo appears along the side. Design is printed in the fonts shown. Design and wording are printed in your choice of colors. Your wording is printed in your choice of fonts. Holiday save the dates include outer envelopes. Make these into save the date magnets with just a simple upgrade in paper. This is such a cute design, online and in person. However, when we received our order we were disappointed with the quality. We ordered 144 magnet and many of them were dirty with black specks or smears. Some of the envelopes also had black smears and specks. We also paid extra for red lining in the envelopes. The lining is very cheap and looks like it is peeling off. If we could do it over, I think we would use a different company with better quality.